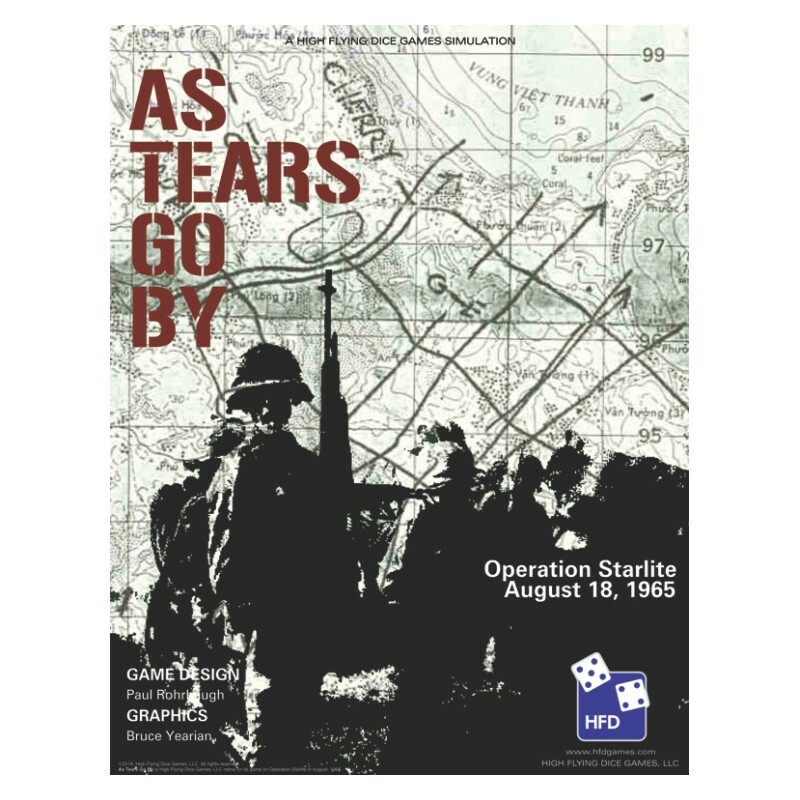 As Tears Go By: Operation Starlite is an introductory level game on the battles of US Marines and the NLF in I Corps of Vietnam in August of 1965. Ziplock Game! Includes mounted counters! 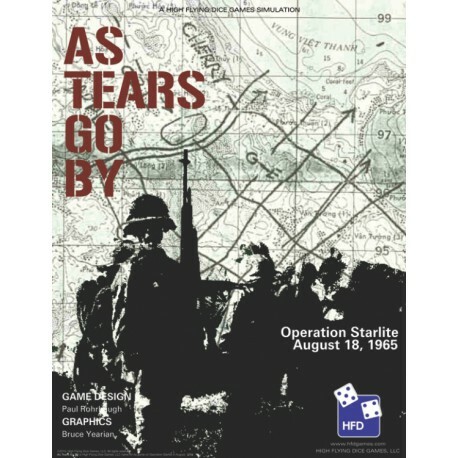 The Battles of Operation Starlite were the first large-scale fights waged by the Marine Corps in Vietnam. A spy informed the South Vietnamese I Corps commander that an attack on the US Marine Base at Chu Lai by the NLF’s (National Liberation Front) 1st Regiment was imminent. The Marine’s commander, Lt. General Lewis W. Walt convinced his superiors that the best defense was a pre-emptive attack. He also decided against informing or working with his South Vietnamese counterpart, as past intelligence leaks led to the elusive Viet Cong disappearing in the face of the American’s probes and attacks. Operation Starlite depended upon the coordination of amphibious landed troops of the Marine’s 3/3 Battalion while those of the 1/7 marched from the north to serve as the “anvil”. The “hammer blows” would be delivered by artillery, air and naval support strikes, as well as the 2/4 battalion that would be airlifted into battle. It was hoped that surrounding the VC with multiple threats would trap and force them to do battle.